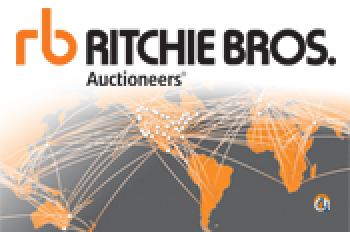 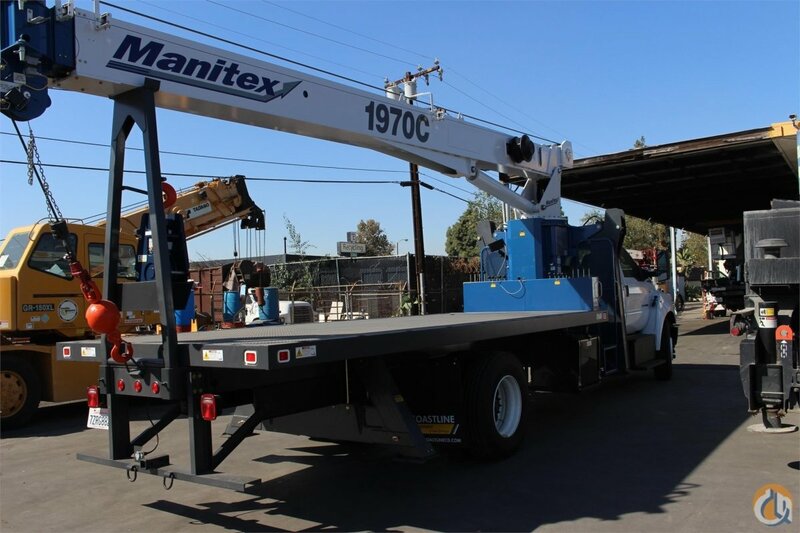 19 Ton Base Rating at 5’ radius, 2-speed Hoist w/Grooved Drum, 5 Ton Hook and Ball. 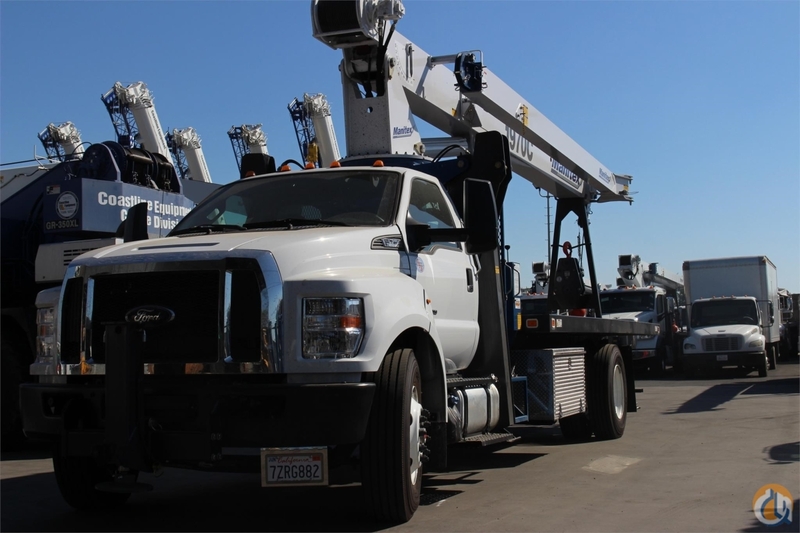 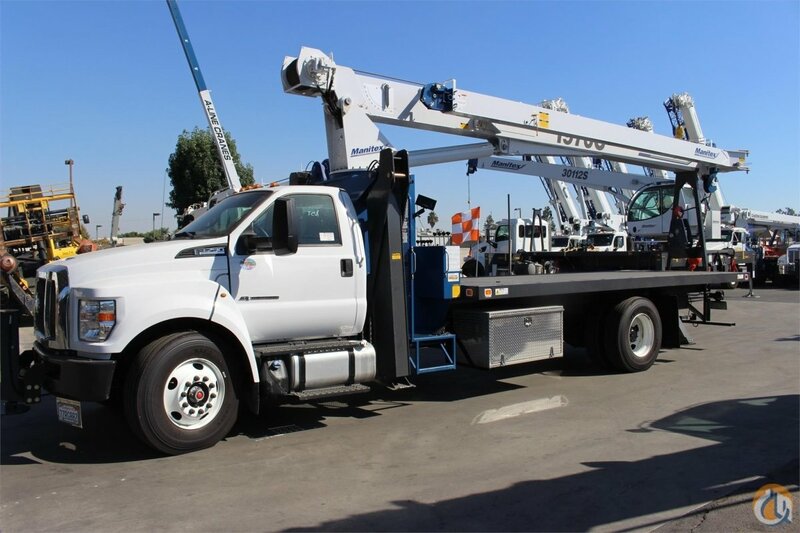 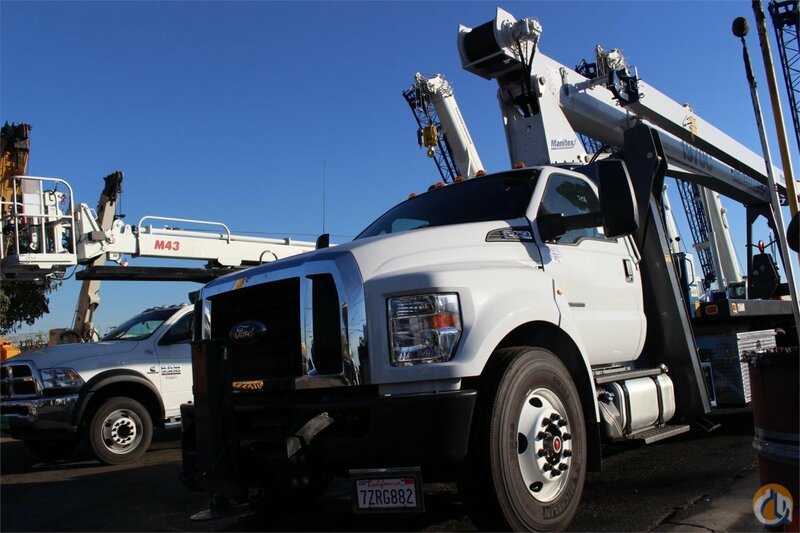 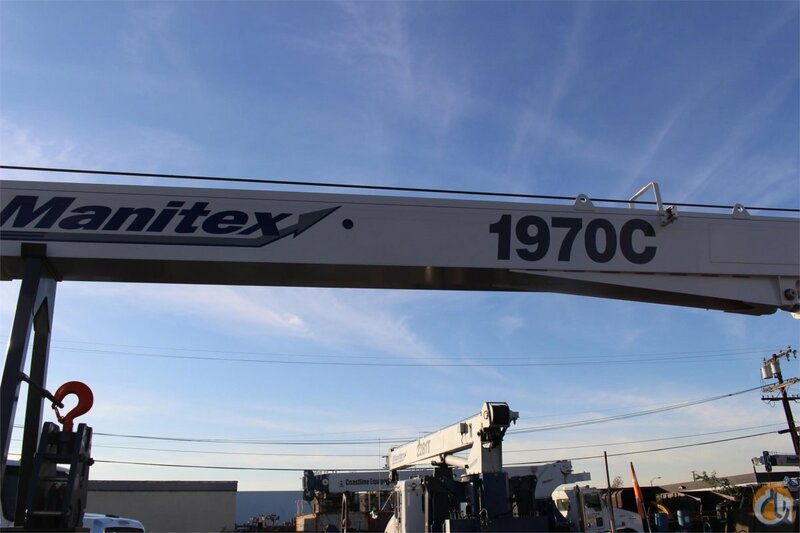 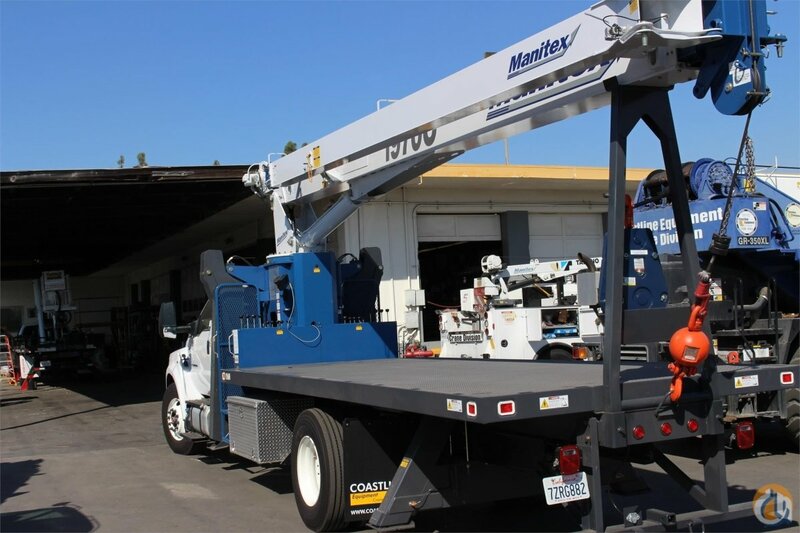 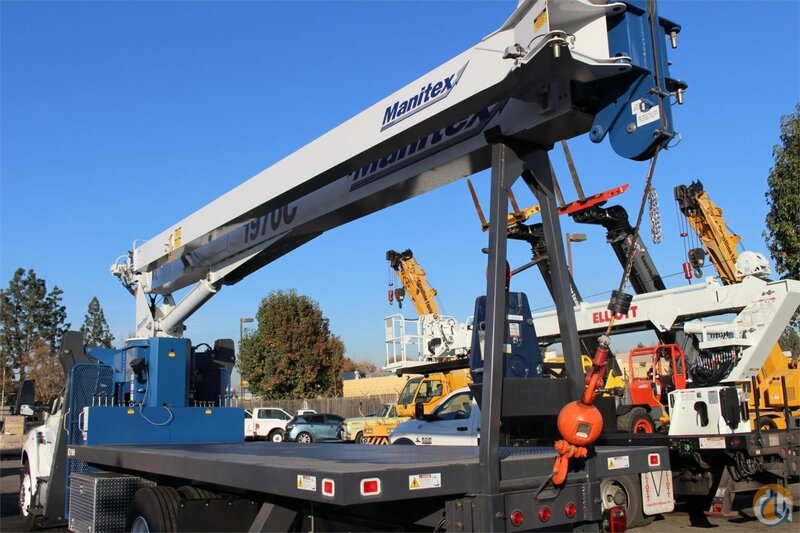 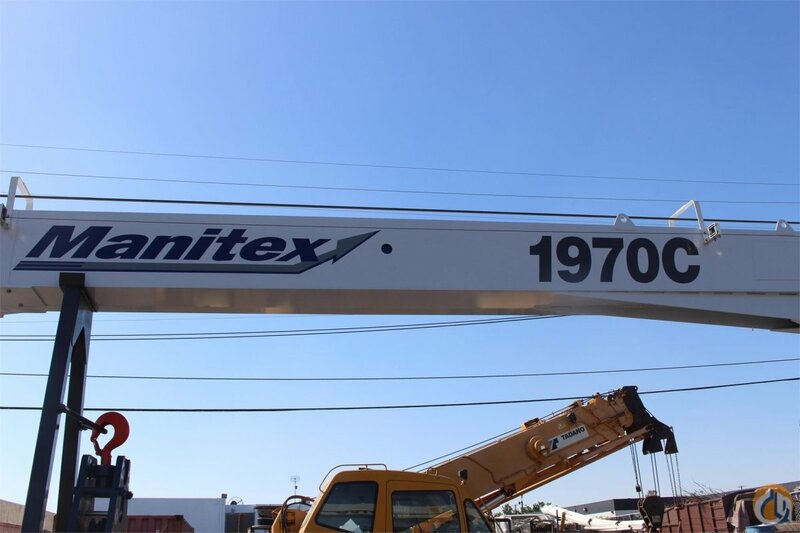 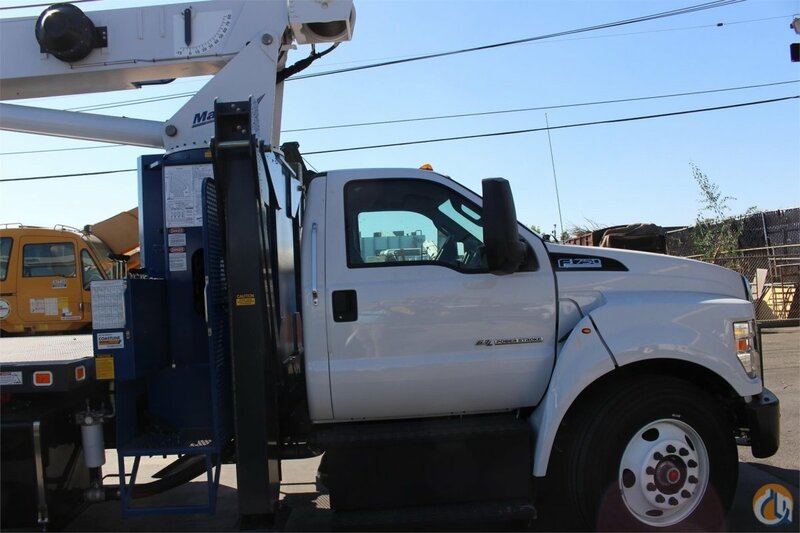 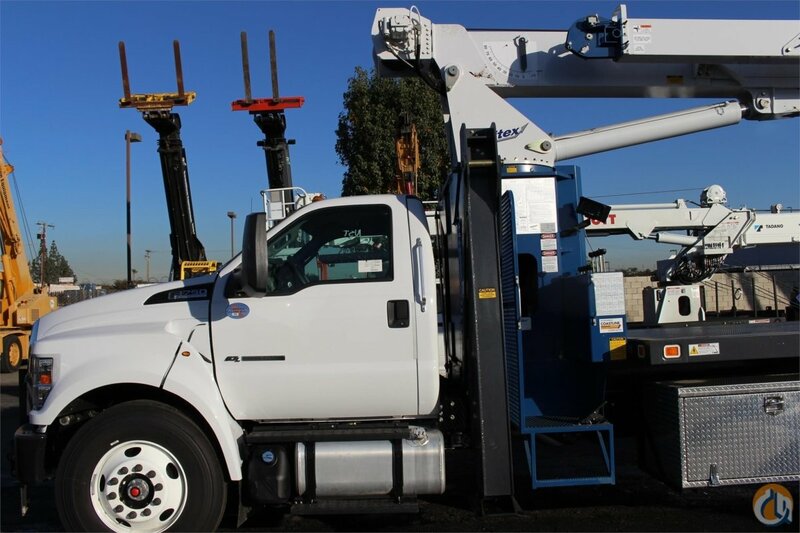 70’ Three-Section Telescopic Boom – Externally Wired-Standard, 3-Load Sheave Quick Reeve Boom Head, externally wired Anti-Two Block w/Lockout, Boom Hoist Cylinder, System Pressure Gauge, 372° Non-Continuous Rotation, Removable Boom Rest, Engine Start/Stop, Operator’s Service/Parts Manuals, Boom Length and Angle Indicators, Foot Throttle, Electronic Throttle, Bubble Level, 300’ of 9/16” Rotation Resistant Rope, 70 Gallon Reservoir w/Suction Strainer & Ball Valve, Pedestal, Turret, Rotation Bearing & Swing System, Dual Operator Control Stations, Load Moment Indicator, Audio/Visual Alert w/Shutoff, Audible Outrigger/Stabilizer Motion Alarm, A-frame Outriggers (21’6” Spread Width), A-frame Rear Stabilizers, 3-Section Hydraulic Pump-Counterclockwise Rotation is Standard, Sub frame for 20’ Bed, Outrigger Monitoring System Verification Only, Signal Horn. 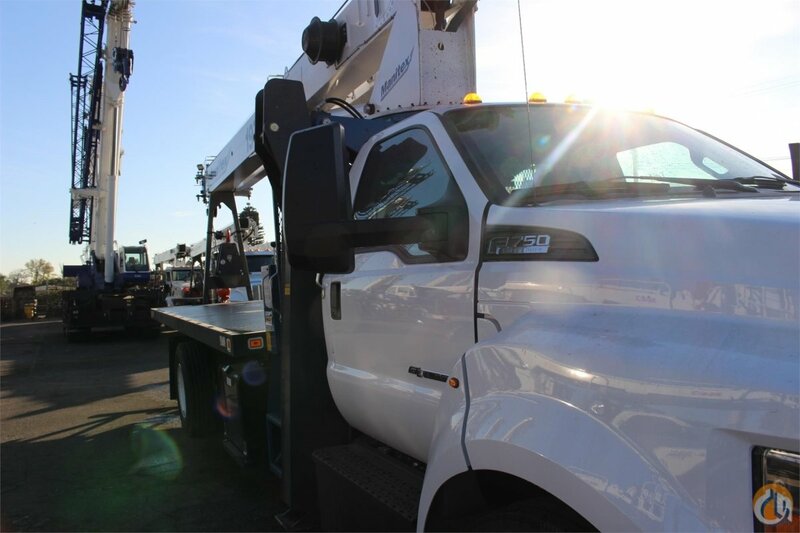 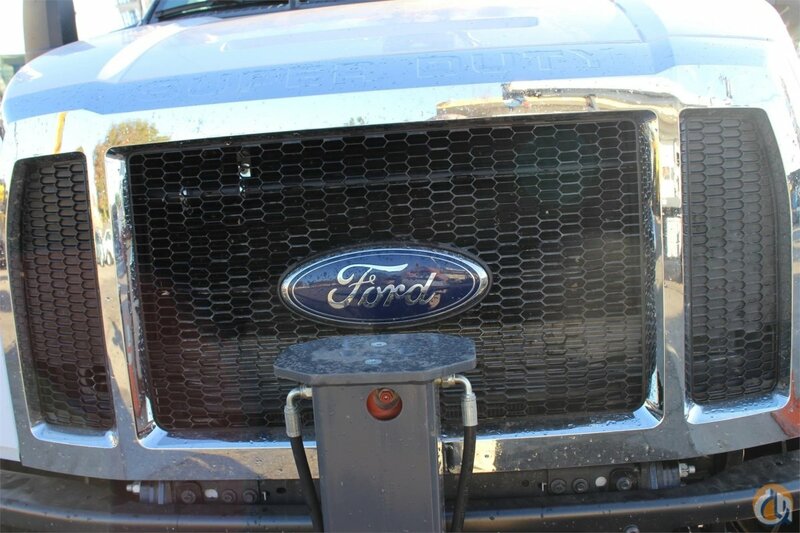 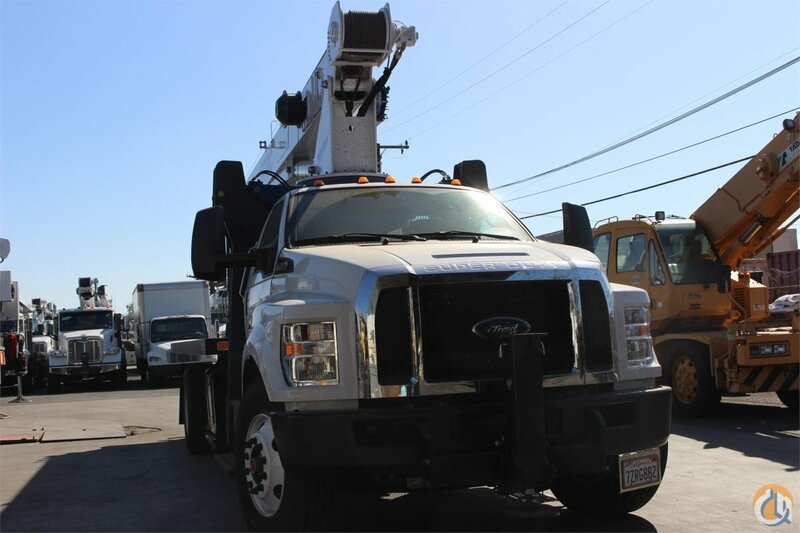 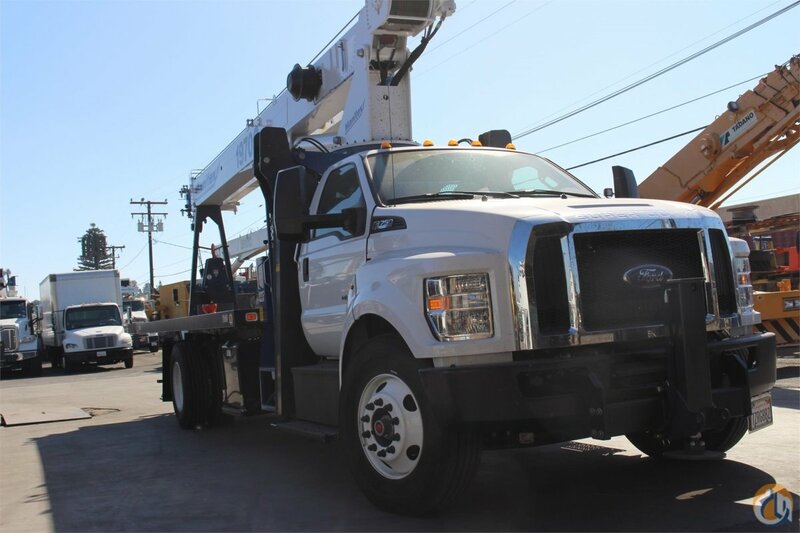 Mounted on a 2017 Ford F-750 tractor chassis with a 6.7L Power Stoke V8 Turbo 270 HP diesel engine, Ford TorqShift HD 6-Speed Automatic Transmission, Dana E-12021 12,000lb. 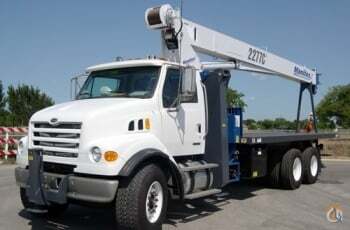 front suspension, Dana Spicer 21060S 21,000 lb. 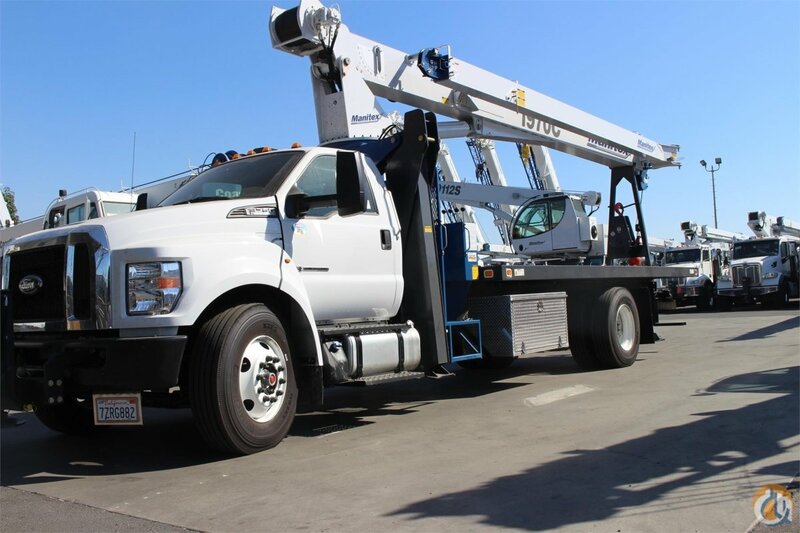 rear axle, Full set of White Powder Coated Steel wheels, Single Aluminum 50 gallon fuel tank, Heater and air conditioner, interior color Gray, AM/FM stereo with auxiliary audio input jack & clock, Single air horn, dual heated mirrors, Halogen headlights, and unit is painted Oxford white.